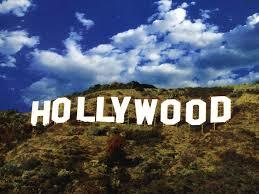 Let the games begin!! With many venues running War of the Light Month 1 this week (and some of the pieces ALREADY turning up on eBay–naughty naughty!! ), peeps are getting excited for some batteries and rings! Of course, if you don’t pull that Chase or Prime you’re looking for, you’re still in luck! They can be yours for a mere $100+!! Good Lord. This set is going to cause some divorces and bankruptcies. Which is to say, it should be a lot of fun! Speaking of the opposite of fun, my Tigers–just like that guy you know who dropped out of community college after his third year to, y’know, go “find himself”–suddenly just cannot get there s#!t together. –Joe Nathan, the closer, decided it was a good idea to blame his rookie third baseman Nick Castellanos for causing Nathan’s billionth blown save of the year because Castellanos dropped what would have been out number 2 in the ninth inning of a game against Oakland. That drop, according to Nathan, is why Nathan went ahead AND SERVED UP A #$%^#($&^#)$^)#^$)#^$in’ meatball on the very first pitch to Josh Donaldson for a walkoff 3-run homerun. Without that drop, by Nathan’s insane reasoning, that homerun never would have happened, because Nathan could have taken a different “approach” to the Donaldson at-bat, and could have “played with him” a little more.” Excuse me? Because of one error, you had to throw every subsequent pitch slow and right down the middle like it’s a glorified batting practice session and not the bottom of the freaking NINTH?!?! 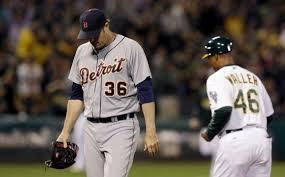 Bravo, Joe Nathan. Not only did you fail again, but this time you almost took down your entire team using only your ego! Closers blow saves around the league all the time. You know what most of those Closers do, Joe? They get back at it the next day, and sooner than later people forget about the blown save. Part of being a Closer is not being a slave to your own ego and admitting when you screwed up, neither of which involves laying the blame for a loss on the shoulders of a rookie whose had less than a year to learn third base after being moved from the outfield and whose error DID NOT END THE GAME!! That is weak. This is what “Fail” looks like. –Suddenly, if Victor or Miggy doesn’t light it up, our offense can’t hit. 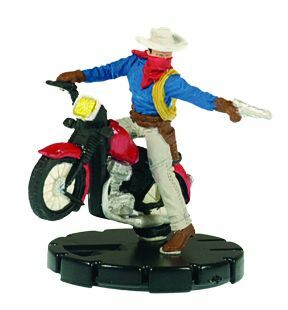 Grrrrr…..
–Dial H for Heroclix just released Episode 47! It was a little shorter than normal because host Hunter Smith is knee-deep in Wedding prep–in fact, he should be married and off on his Honeymoon as you read this! –Push to Regen is still cooking up Episode 2.4!! Check their Podbean for updates and the first three episodes of Season 2! –The Quarry’s latest episode is … Episode 19, which features interviews with and perspectives from a bunch of different recent ROC winners (the Roundtable has the week off). I listened to most of this ep–some great insight from the recent tourney champs! –Up to date upcoming ROC tourney listings have been released, which you can find right HERE! –A brief announcement was made that the recent “Watchlist 2: Electric Bugaloo” changes will go into effect, well, immediately. 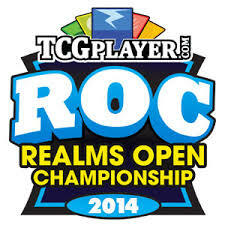 –What’s been winning at the ROC Super Qualifiers lately? Well, to answer that, I’d have to review every ROC team that made the Top Four and compile all that data into an article that was able to articulate the information in a way that makes sense. And… I’m sure Ninwashui will get right on that. –A few weeks ago, WizKids announced a monthly New OP kit system! –New War of the Light dials went up last week–most notably Kyle Rayner as a White Lantern–but pretty much every Wave 1 dial is up at HCREALMS.com in their Unit section! With this army, you’re sacrificing Theme Team Bonuses for the right to essentially use 2 Resources on one character-Banshee. Assuming you select Banshee with the Book and choose Damage Power and Damage Value via the Possessed Trait from Entity (POSSESSED: Click the Possessor’s dial to the same click number as this character and change it during the game in the same way that this character’s dial changes. At the beginning of each of your turns or after this character takes or is healed of damage and actions resolve, you may choose 1 power showing on one Possessor’s dial and 1 combat value on one Possessor’s dial higher than this character’s printed combat value. This character can use that power and modifies that combat value by +1 until your next turn or until it is healed or takes damage. If the Possessor is turned to a KO click, it is removed from the game immediately. ), on his top click, Banshee has: the Police and X-Men abilities; 8 Range; Running Shot with a BotS-enhanced 12 Movement; 11 Attack with Penetrating/Psychic Blast and Smoke Cloud; 18 Defense with Super Senses and Barrier; 4 Damage with Probability Control and Perplex. Then, if he chooses to Carry Kingpin with him (Holy God!! ), he gets all that (Except he can only move 4 spaces for Running Shot instead of 6) PLUS his Damage goes up to 5 (from Kingpin’s Enhancement) and he also gains Sharpshooter, RCE and freakin’ Precision Strike. Oh, and due to Banshee’s own Trait, from which this army gets its name (IT’S GOING TO GET A LITTLE LOUD: Opposing characters within 6 squares can’t use Super Senses. Opposing characters within 6 squares can’t use Impervious, Invincible, or Invulnerability but can use Toughness instead. When Banshee hits a character that can’t use a power due to this trait, increase damage dealt to that character by 1. ), if you’re close enough, your target can’t use Super Senses AND your damage goes to 6. Again, you still have a Perplex floating around. I mean, that’s borderline psychotic. And that’s without a Theme Team. One of these Chases may actually make someone like White Phoenix Hope viable–and still be a Theme Team! Who thought we’d see that?! –X-Men: Days of Future Past was pretty damn good! Really solid flick, prolly the second best of the entire franchise (after X2: X-Men United). 3 out of 4 Stars, by my reckoning! –Two big articles last week: a gigantic 4600+ word monster on the best Chases in the Meta (not including the upcoming War of the Light Chases, which easily would have made the cut); and our first DeadPool set review (Ninwashui’s)–my version will be coming in the next couple days!